It's no secret that being operations-heavy has been the undoing of several startups in India. So when Vijay Anand, founder and CEO of Chennai-based accelerator The Startup Centre, highlighted the bloated employee count of Indian startups vis-a-vis their US-based counterparts on networking site LinkedIn two weeks ago, it garnered a lot of attention. Anand's contention was that when world-class "companies such as Skype, Instagram and WhatsApp were built by small set of engineers," why did Indian startups like healthcare platform Practo and cloud software firm Freshdesk need 2,000 and 900 employees, respectively? At the time of Skype's acquisition by Microsoft, it had a team of 27 engineers. Instagram had 13 employees when it was bought by Facebook, Anand wrote. Taking a dig at Freshdesk, he added: "Salesforce, a $6.6-billion revenue company, has 19,000 people working for it...Doing an employee : revenue extrapolation, Freshdesk would have approximately 90,000 people when it does that revenue." Mathrubootham said there was a fundamental flaw in comparing Instagram and WhatsApp with Freshdesk and Practo. "A fair comparison will be other B2B SaaS (software-as-a-service) companies. If we can't compare apples to apples, the rest of the arguments fall flat," the post read. As for the implied question of low revenue per employee, Mathrubootham said "moving upmarket to enterprise is what gives Salesforce higher revenue per employee." He asked Anand to look at public SaaS companies like Hubspot or Zendesk. "Their average revenue per customer is around $7-8K per year, which is higher than us and we have intentionally kept our average revenue per user lower," he added. Mathrubootham' post, however, carried the admission that "when you compete globally and want to win, offering free services like data migration, theme customisation/lower cost becomes part of a business strategy that helps you win. We need some people on our team to do this." Towards the bottom of the post, he reminded Anand of the fact that Freshdesk was backed by Google. "What attracted investors like Google Capital to Freshdesk is how much efficient we are, as a SaaS business, than the valley SaaS companies. So, it would be better if you do some deeper analysis before drawing conclusions on the efficiency of a business," he said. In November 2016, Freshdesk raised $55 million (Rs 366 crore) in Series F funding led by Sequoia Capital India and existing investor Accel Partners. Prior to that, in April 2015, it raised $50 million in Series E funding led by Tiger Global, with participation from Accel Partners and Google Capital. 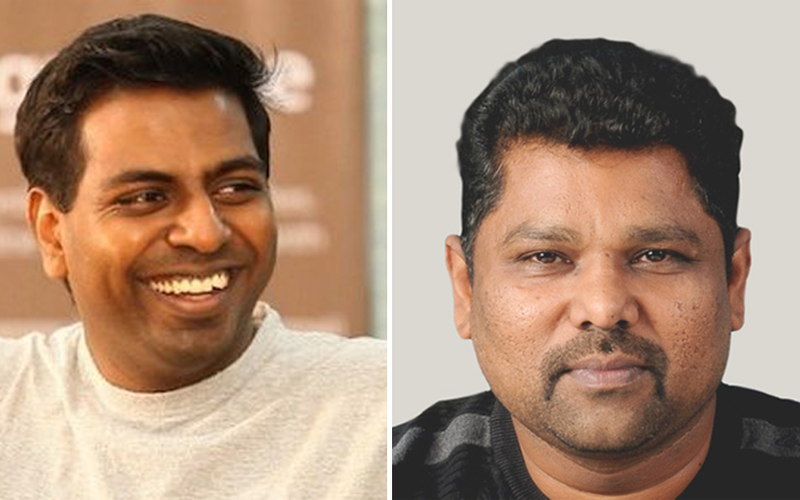 Freshdesk was founded in 2010 by former Zoho employees Mathrubootham and Shan Krishnasamy. The SaaS-based startup provides customer support solutions. Its flagship product, Freshdesk, allows organisations to support customers through email, phone, web sites, mobile apps, forums and social media. Its clients include 3M, Honda, Bridgestone, Hugo Boss, University of Pennsylvania, Toshiba and Cisco, among others.